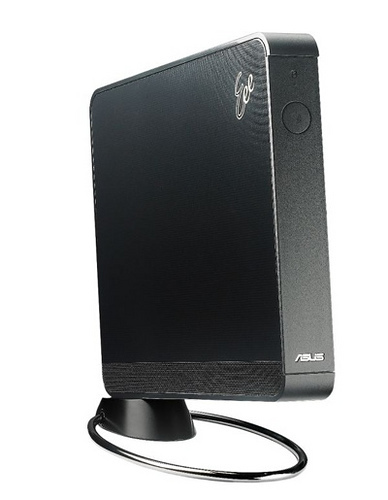 It is a bit surprising when ASUS dropped off this little Eee Box for this category. Its not going to trouble the frontrunners in this group for performance, although don’t underestimate this impressive little Personal Computer. Its basically the desktop version of the Eee PC notebook, but with features for desktop users. The 80GB hard drive gives you some decent space and Windows XP Home gives you quite reasonable performance and plenty of functionality. The unit has no optical drive, but with four USB 2.0 ports, a Secure Digital and Memory Stick card reader, built in Wi-Fi and wired networking, it’s got all the features you need for a kid’s computer or a second small business Personal Computer. It’s based around Intel’s Atom N270 processor clocking in at 1.6Ghz with 1GB of memory. This isn’t the PC you want if you’re thinking about video editing, but it’s actually not too bad at image editing, with User Bench Image scores not the worst we’ve seen. The most impressive feature is its compact, vertical design – small enough to fit on any desk. It can even be mounted on the back of most LCD monitors, although the bundle stand makes a better option for desktop placement. Just add your own mouse, keyboard and monitor, and you’re away. I recommend a company called super computer services located at parramatta if you want help regarding installation or upgrade for home or office use. ← USS REAGAN – Seeing it next to the Arizona Memorial really puts its size into perspective… ENORMOUS! USS REAGAN – Seeing it next to the Arizona Memorial really puts its size into perspective… ENORMOUS!